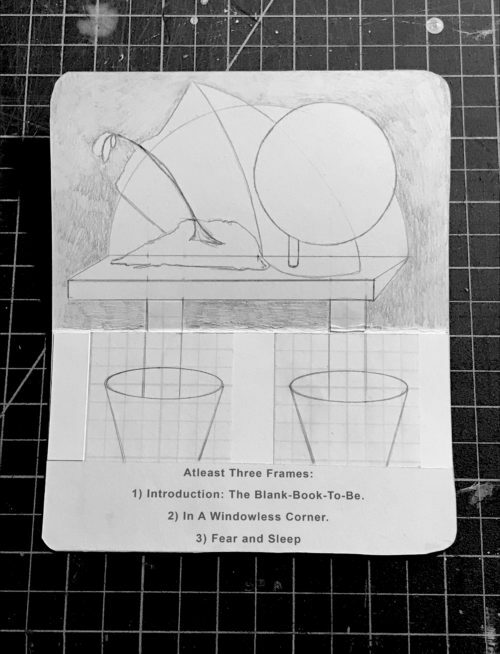 Jim Grilli: Atleast Three Frames: 1) Introduction: The Blank-Book-To-Be. 2) In A Windowless Corner. 3) Fear and Sleep - Marginal Utility, Inc. Marginal Utility is proud to present Atleast Three Frames: 1) Introduction: The Blank-Book-To-Be. 2) In A Windowless Corner. 3) Fear and Sleep, a solo exhibition by Philadelphia-based artist Jim Grilli. Whenever I am working on a picture and it becomes too pictorial I consider throwing it away. In other words, if the project becomes too coherent it is a failure. Despite accepting having failed, I can never bring myself to dispose of the picture. I may dream of being rid of the offensively successful thing for months, but for some reason I remain unable to destroy the materials that comprise it. The concept of “being rid” is undoubtedly curious. I always suspected that wishing oneself rid of X, for example, was a waste of energy regardless of the use, value, or appearance of the object in question. The act of fantasying subtraction or extrication from something struck me as misguided. 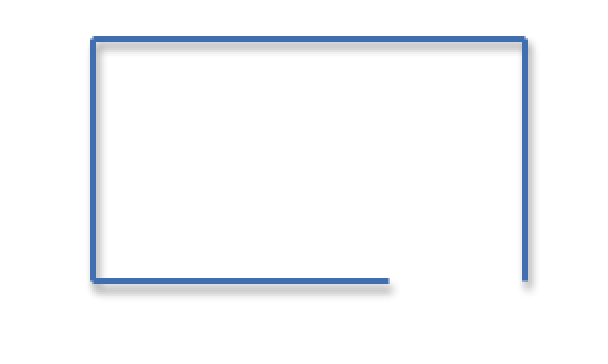 In short, until sitting down to draft this letter I did not have language capable of describing “absence”. The Frame is the heart of the matter: the plane of inclusion or exclusion. Until recently I assumed that ridding myself of an object would require its movement outside The Frame, but now I think the opposite might be true. What if freedom (ridding yourself) necessitates keeping it inside The Frame? What if exclusion from The Frame is mere avoidance and therefore counterproductive? Perhaps the task is to increase one’s tolerance for The Frame being crowded. Of course, The Frame is only mutual curiosity between the internal and the external as they see and shape each other. Thank you for taking a moment to read these comments. I apologize for my late response. Hopefully, I will remember to drop this note in the mailbox soon. I suppose I could have emailed you.